Even though the newness and originality of HafenCity might suggest it, the new district is not taking shape on a greenfield site - far from it: this place oozes history. 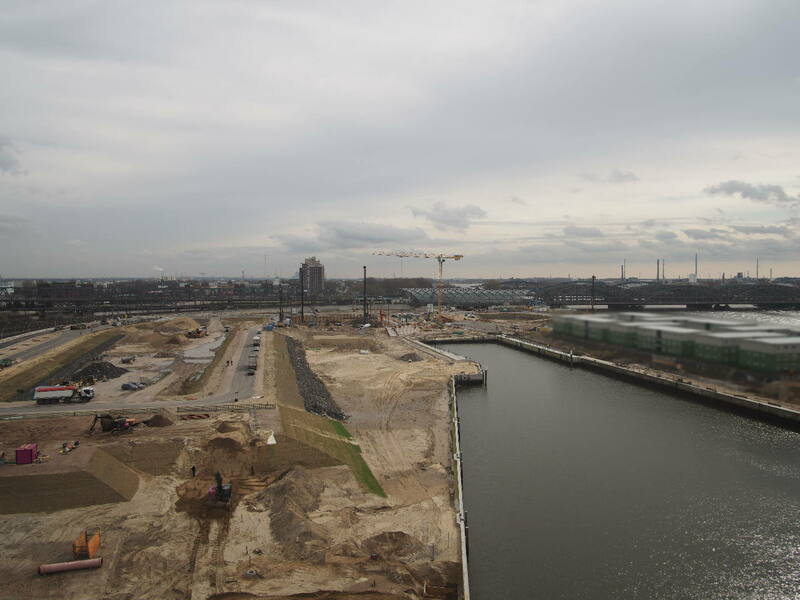 To understand HafenCity, you really need to know something about the history of its site. And that history is rich in illustrious names. To begin with, it is reputed to have been Emperor Barbarossa who in 1189 granted the then young town of Hamburg exemption from customs duties. Shortly afterwards the first river port evolved where the Alster meets the Elbe, very close to the present-day HafenCity. The port was a dynamo for the development of the city, the seed out of which a metropolis grew. Over the years it grew continually, adapting to the demands of changing times. And its position was moved several times. But the importance of the port for the Hanseatic City has never waned. A propos the Hanseatic League: Hamburg played a key role in the medieval trade alliance. By the 14th Century, the port was already the premier German transshipment center between the North and Baltic seas. So it was mainly Hamburg merchants who were hit when the legendary privateer Klaus Störtebeker began to attack Hansa shipping. In the end a Hamburg fleet caught up with him off Heligoland and brought him back to Hamburg, where he was beheaded in Grasbrook - part of today’s HafenCity. Even in those early times, Hamburg and its harbor were closely intermeshed. This continued to be the case for almost half a millennium. It was not until the 19th century that port and residential areas were finally physically separated. Previously, many areas and even many buildings belonged to both categories. The classical merchant's house combined storage, business and living areas and was built right on the banks of the canals or the Alster, if not directly on the River Elbe itself. Hamburg citizens benefited from its duty-free status, which meant that goods imported through the port could be stored or processed anywhere in the city and then re-exported without levies. Goods from ocean-going ships were transported along the canals in small feeder barges. And the city grew. In the 17th and 18th centuries, a magnificent Baroque quarter grew up on the canal islands of Brook, Kehrwieder and Wandrahm, the site of the present-day Speicherstadt warehouse district. Hamburg merchants resided in imposing buildings, massively gabled, with elegant entrances. It was not long, though, before wealthy residents moved on - the port was getting too close for comfort - and tradesmen and dock workers became the new occupants. Then the last gaps between the buildings were filled by merchants' and manufacturers’ premises, and warehouses. Even then, residents could be found taking a stroll along the water's edge on Sundays.